As a Mum I know exactly how heavily your childs health can weigh on your shoulders. So many questions, so much seemingly conflicting advice. Homeopathy can help you steer a clear path and I will use the remedies to support your choices as best I can. During pregnancy, your body needs more specific help than usual. Remedies are so safe they can be used in pregnancy, when the body needs food for the cells. 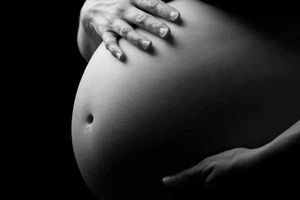 I will work with you prescribing specific cell salts to match your stage of pregnancy and your babies' developmental needs and to reduce any ill effects you may be having such as morning sickness, varicose veins, water retention, sleep problems etc. New babies are tough but unwell babies are the hardest of all. Babies respond very quickly to remedies and their remedy state can be very clear to a homeopath, just a look is often all that's needed! For new mums I am available for telephone consultations on a daily basis if needed - remedies can really help with recovery from childbirth, breastfeeding and energy support as well as addressing any birth traumas you and your baby may have experienced. Problems such as colic, cradle cap, reflux, teething, weaning and sleep can all be eased with remedies and I have lots of experience treating little ones - no problem too big or small! Concern about vaccinations is growing and pressure on parents to vaccinate their children is immense and powerfully emotive. In the UK, it is the parents choice on whether or not to vaccinate their child. It is a brave decision not to vaccinate and must be supported by another system of health - such as homeopathy. I have a wealth of knowledge, books to borrow and sources of reference to allow you to make an informed decision about your child's health. Whatever that decision is, I can support your childs health with remedies in order to combat some of the negative effects and boost their vitality before and after the vaccination if you decide to go ahead. I am more than happy to consult with both parents and support you to make an informed decision, whatever it may be.